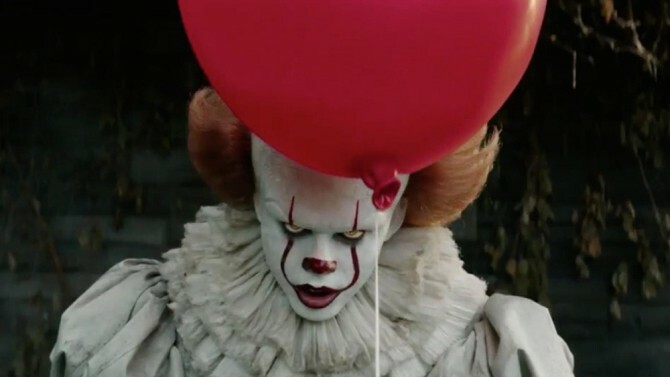 While the world is anxiously waiting to see the first trailer of Avengers 4, world-renowned writer, Stephen King, has teased everyone with the update of 'It' movie. While the world is anxiously waiting to see the first trailer of Avengers 4, world-renowned writer, Stephen King, has teased everyone with the update of It movie. The prolific author recently drew the attention of everyone to the sequel of It: Chapter 1 on Twitter, by simply saying, "IT CHAPTER 2 is coming." This, of course, could mean several things. For instance, it could mean that the very first trailer of It: Chapter 2 will be dropping online any day now, or the feature film will be released sooner than fans have earlier expected. So far, fans have only had seen a poster of It: Chapter 2 and a full-length trailer is exactly what Stephen King's fans need at this moment. As of now, it is not revealed by Warner Bros. when the first trailer of It: Chapter 2 will be unveiled but many are expecting it to arrive somewhere around Christmas 2018. However, the film is scheduled to release in September 2019, so chances of getting a full-length trailer in December 2018 are pretty slim. It: Chapter 2 is surely going to be a rollercoaster ride for everyone who saw the first part or for anyone who has read the mammoth book written by Stephen King. The It: Chapter 1 was released in September 2017. The film was made against a budget of $35 million but set numerous box office records and grossed $700 million worldwide. The film is the highest-grossing horror film and the fourth-highest-grossing R-rate film, as well as the most profitable horror film of all time. Similar to Chapter 1, It: Chapter 2 is also being directed by Andy Muschietti on the screenplay written by Gary Dauberman. As per Warner Bros. and New Line Cinema, the plot of It: Chapter 2 is set "Twenty-seven years after the horrific events of the summer of 1989, It (Bill Skarsgård) returns. The Losers' Club fulfills their promises and returns to Derry to put an end to the shape-shifting beast once and for all." The upcoming horror movie will feature James McAvoy, Skarsgård, Jessica Chastain, Jay Ryan, Bill Hader, and Isaiah Mustafa in the lead roles. The film will be distributed by Warner Bros. Pictures and is set to release on September 6, 2019.